The BMW M760Li xDrive is a rare bird these days. As manufacturers struggle to keep up with the tightening regulations concerning emissions, V12 engines are not exactly the best choice for a vehicle, especially when they have a displacement of 6.6 liters. 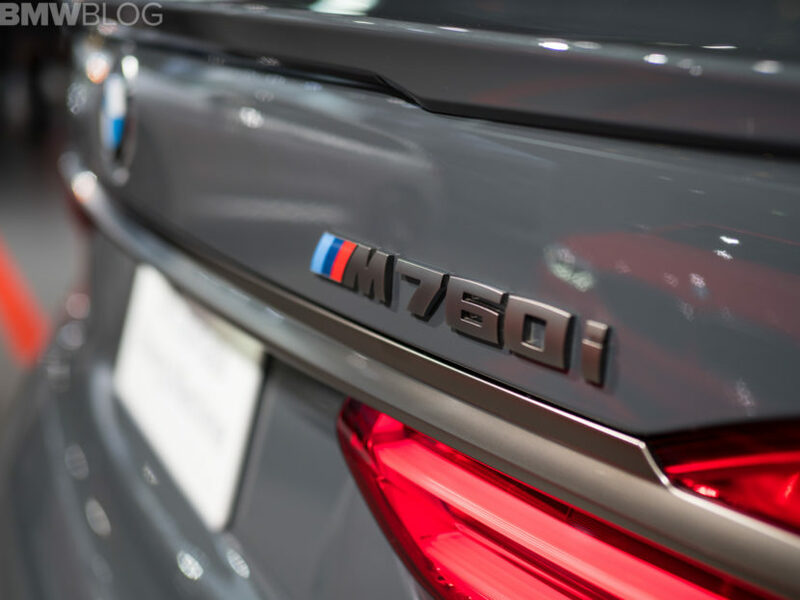 And yet, the M760Li keeps going, trying to appeal to those wanting the ultimate luxury when driving around, as well as mind-numbing acceleration from time to time. The ultimate 7 Series offers both of those and you can easily see why when taking a closer look at the spec sheet. With over 600 HP and more torque than you could possibly need, the limousine can do 100 km/h (62 mph) from standstill in 3.7 seconds. That’s faster than the time it takes to actually say it’s full name, to be honest, and cars of this size shouldn’t be able to do that. It’s a testimony to how far technology has come, I guess but it’s also why Mat Watson says this beast is a ‘drag racer’ in its spare time. Of course, no high-ranking executive or ultra-rich owner will use it on a drag strip, but it’s always good to know you have basically unlimited reserves of power under your right foot, isn’t it? That’s something you can’t really put a price tag on, except maybe for the situations when you stop for gas. That’s going to be a lot more often aboard this thirsty beast, as the 6.6-liter twin-turbo V12 is definitely going to go through a full tank in a jiffy. Having tested this car on previous occasions, no matter how hard I tried, I couldn’t get more than about 250 km (155 miles) of range out of a full tank of gas. Yes, I do have a heavy right foot, but when you hear that V12 roar in Sport mode with the exhaust flaps completely open, you just can’t contain yourself. And even if that wasn’t the case, you won’t get to see more than some 20 mpg on the dash, which says a lot about how far you can go in it. It will be a fun time though, as the CarWow people are about to show you in the footage below.